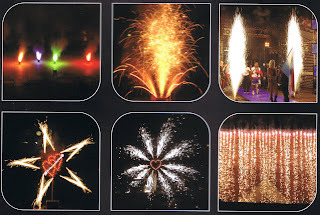 The Pirotecnia Atlântica has a wide variety of pyrotechnics effects for weddings and birthday parties. The fountains and waterfalls are the most popular pyrotechnic articles. For a more elaborated event, we propose a firework display or a piromusical, accompanied by lettering and sequential effects. Madeira is synonym for fireworks, prove it!